Spiele Punk meetings almost finished, we pack our stuff to Orléanoïde , the new digital arts festival piloted by the organization Labomedia, in Orleans. 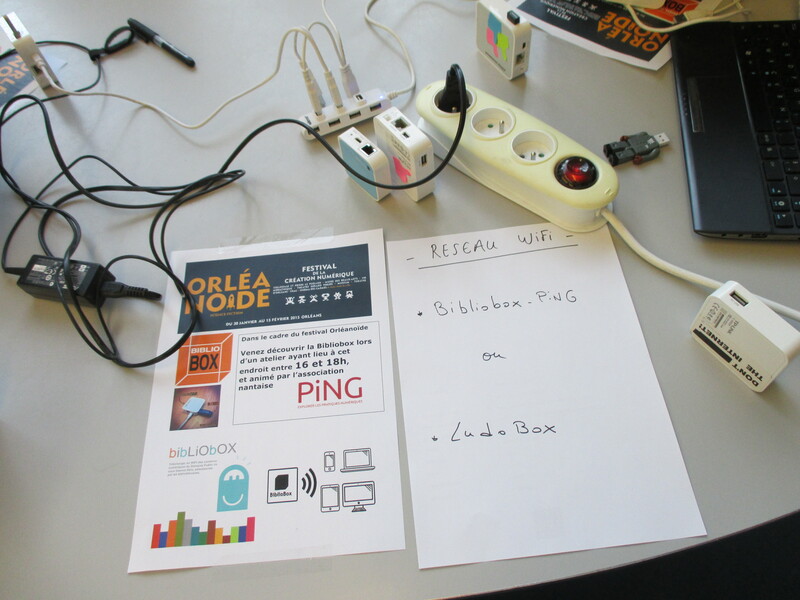 PiNG who had just welcomed us at Platform C for a Print Party , propose to share Labomedia’s invitation : a demo table on a Saturday afternoon to answer the many questions that librarians and library users of Gambetta Public Library may have about these offline devices. A table, two boxes, three chairs, we set up everything quickly. Both wifi routers – PiNG’s BiblioBox and Dcalk’s Ludobox – are loaded with content as many uses to discover. After Saint-Herblain> Indre> Nantes, the speech is flowing. 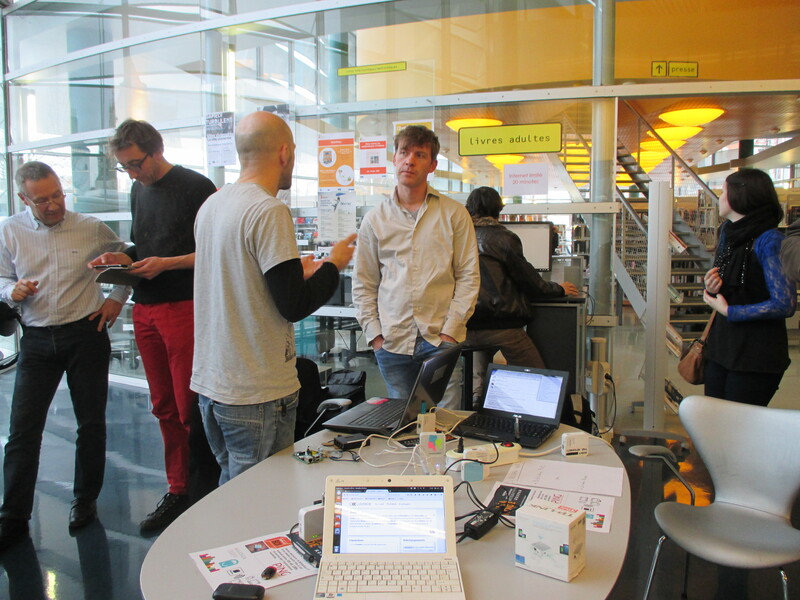 We almost feels like TPLINK RP with all these boxes on the « stand ». On débranche deux heures plus tard, la langue bien pendue et le plaisir d’avoir testé le téléchargement de fichiers avec quelques curieux visiteurs qui repartent avec leur copie de Cards Against Humanity  sur leur smartphone. We unplugg two hours later, pleasure of having shared files with curious visitors who leave with their copy of Cards Against Humanity  on their smartphone. Oui il faut faire le http://www.dcalk.org obligatoirement, ovh n’a pas voulu la redirection vers le sans www ^^.